Wow! My novel “Anything Could Happen” has been nominated for Best Protagonist in Sid Reader’s Appreciation Awards! This makes me happy beyond words. My character Austin, who was introduced in “The Boy Who Came In From the Cold” and who was featured in my novel “Anything Could Happen” has been nominated for Best Protagonist! I am thrilled! I can’t believe it! Please take time to vote for your favorite in several categories including Best Book, Best Cover and more! There are some wonderful books there! You can vote once every 12-hours! I am so blessed. I’ve said it before and I say it now. Remember! 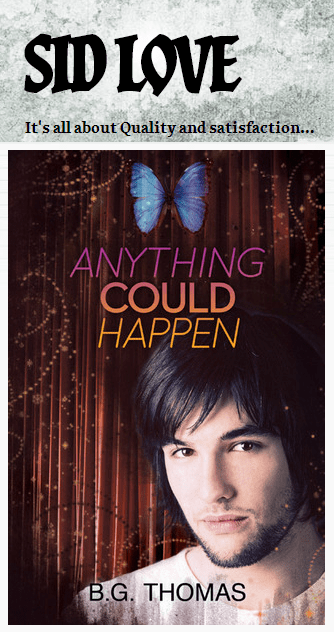 Joyfully Jay Blog Reviews “Anything Could Happen” Five Stars! I Was a Guest Today at “It’s Raining Men” on Manlove Monday! There is a CONTEST too! I Was a Guest Today at “It’s Raining Men” on Manlove Monday! There is a CONTEST too! Check it out! To see things through the eyes of somebody else. This is why I read, my prime reason. My secondary reason for reading is to step into shoes that I physically could never wear, hence my fascination with m/m romance. I will never be able to be a gay man, but I can try to understand what it might be like. Excellent Review for “Anything Could Happen” at Jessewave! 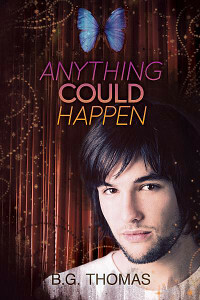 Four Star Review for “Anything Could Happen” at Sid Love! Sid: Anything could Happen, isn’t that right, Dani?